Serving Communities in Maryland, Pennsylvania, Virgina, Washington, DC, West Virginia and ... beyond! Welcome! 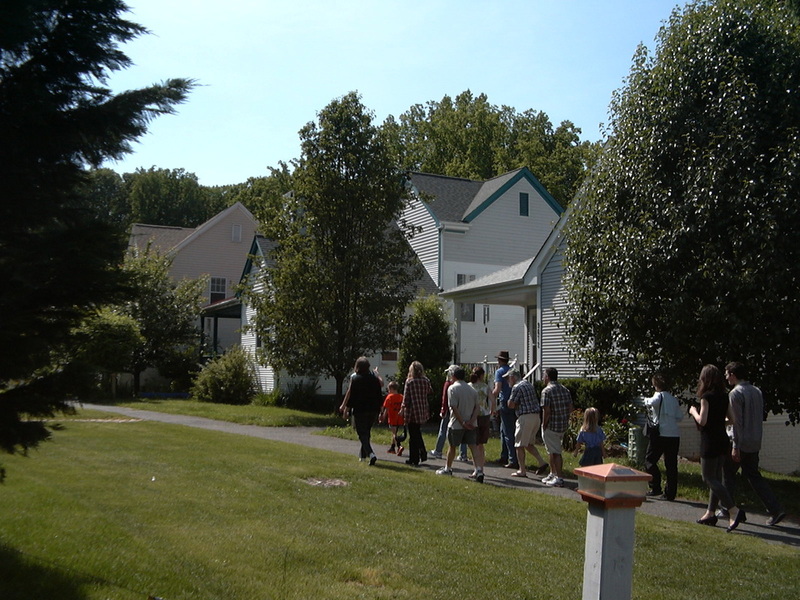 Mid Atlantic Cohousing (MAC) is a consortium of built, building or forming cohousing communities from Pennsylvania to North Carolina. Seeking to serve all who live, play or work in cohousing, our borders are permeable enough to include YOUR community! Eastern Village Cohousing celebrated its 14th anniversary recently. Skits, songs, good food and good spirits dominated the festive celebration. 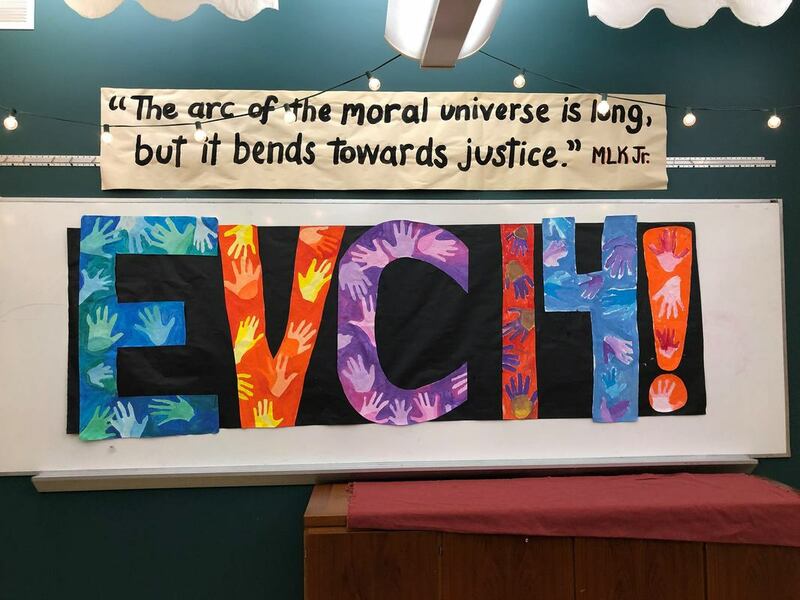 Residents were invited to trace their handprint to make this celebratory banner. Eastern Village was the very first multi-family, 3-story building in cohousing to be certified LEED-Silver -- it was the second building same category certified LEED-Silver in the US overall. EVC has a long history of bricks n' mortar sustainability matched by the social sustainability of its membership. Congratulations, EVC! Best wishes for another 14 and beyond! 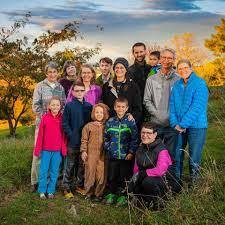 The folks at Harrisonburg Cohousing are building an intergenerational cohousing neighborhood in Harrisonburg, Virginia. Harrisonburg is a thriving small city in the Blue Ridge mountains with great nearby hiking and biking, and easy access to world-class performing arts through the James Madison University Forbes Center. Harrisonburg has a very diverse population, with more than 50 languages spoken by incoming kindergarteners, and strong social justice vibe from the local universities and Mennonite populations. In 2017, National Geographic listed Harrisonburg as one of their “20 Best Mountain Bike Towns”, Southern Living named it in their list of “15 Affordable Small Towns we Love”, and Forbes said it's “One of the Best 25 places to Retire”. Go for a visit, and let the members show you around town and take you on a tour of their 5.4 acre property. We are in the very early phases of bringing together a critical mass of people interested in designing and building a senior cohousing community in the Baltimore area. 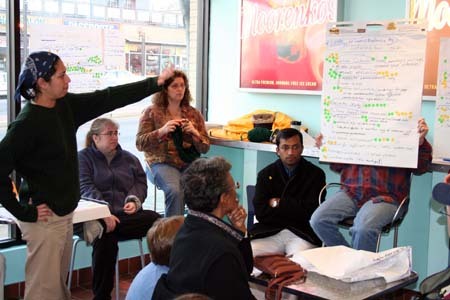 Perhaps the most important development is that we have organized ourselves into effective committees (Marketing, Membership Services, Mission and Values, Administration/Finance, and Site Identification), all of which have been working to move us forward. Every member participates in at least one of these groups, with the result that members are more actively engaged and actual progress is achieved every month. It is especially satisfying to see the sense of community that arises out of sharing these responsibilities. As we get to know each other through this work, the prospect of living together in community is even more appealing: a virtuous circle of increasing engagement and excitement about what we are trying to accomplish. There is always room for more. if you want to learn more about what we're doing and maybe dip your toe into the process, our marketing team is putting together a regular series of programs for potential new members, discussing what cohousing is about and helping people think about whether and how this might work for them. Let us know if you would like more information! We are excited by the prospect of working with each other to create the community that will sustain us in our later years, and would be happy to engage others in this effort. To learn more about our efforts, check out our Facebook page or contact Mike Dennis. ​Emerson Commons has begun construction on its 26 unit community in Crozet, Virginia! The first homes will be completed late 2018- early 2019. Take a look at this elegant 3D animation of its neighborhood! Are you considering building a cohousing community? Trying to interest a developer in taking on your project? Let us help you! Check out the handbook and DVD produced by MAC targeted to developers showing them how to integrate cohousing into their housing mi﻿x. ﻿ Building Sustainable Communities for Today's Housing Market﻿ ﻿has detailed interviews and information from the top three cohousing developers in the US. Order from us today! 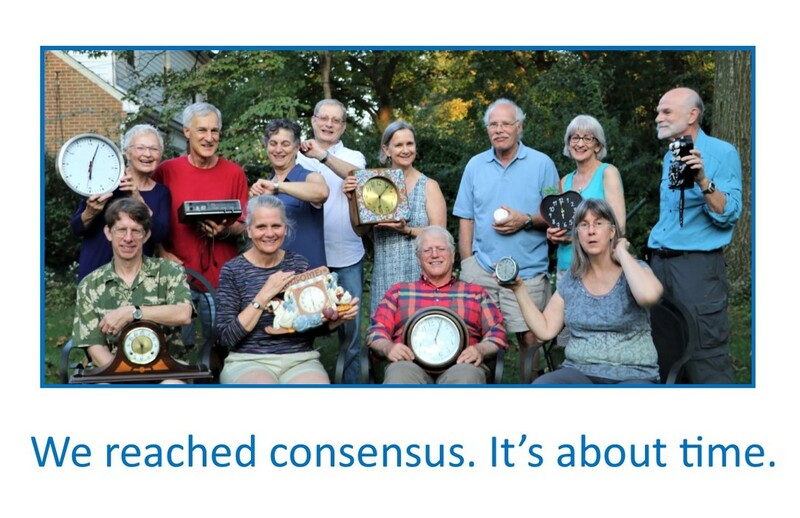 Mid Atlantic Cohousing is deeply involved in teaching the art of living in community. We are committed to the profound work of creating a sustainable society, one neighborhood at a time. In a world that often seems disparate, we take on the challenges of providing space and time that foster connection. To this end we provide direct educational services to our member communities. We also educate and inform the public about cohousing. Each year we provide an array of educational and informational events for member communities as well as those open to the public.